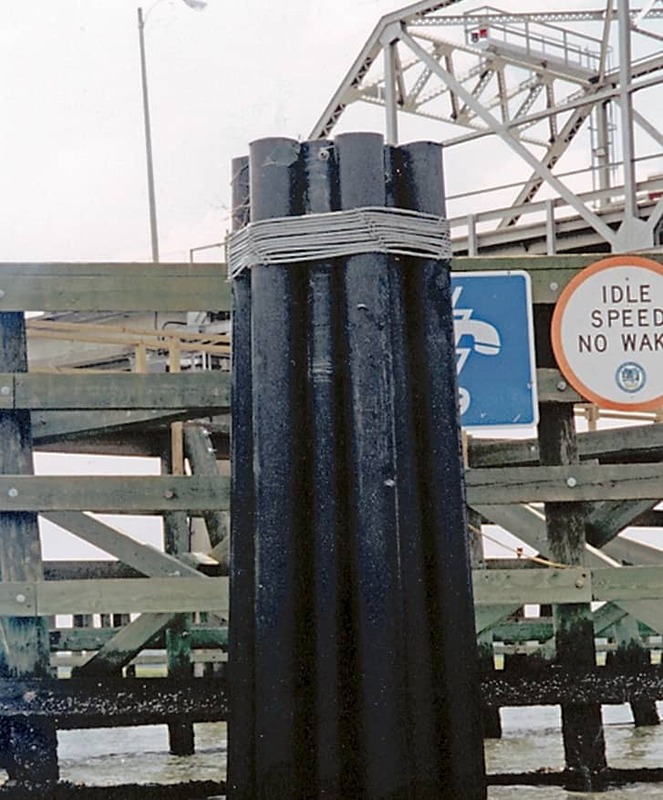 Dolphins are marine structures that provide pier protection from vessels and barges and serve as a mooring point and hold navigational aids, safety information and in some cases, advertising. 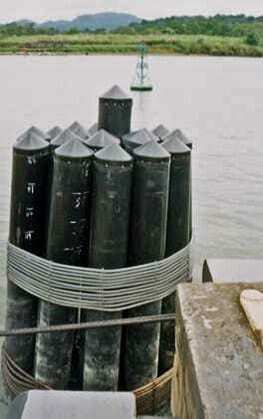 They are typically constructed using multiple piles and are installed offshore. Dolphins are located partially under water and require a building material that is structurally sturdy, low-maintenance and easy to install. Traditional building materials like wood, metal and concrete can break down over time, causing the need for repairs and replacement. Chemicals found in seawater, like calcium and potassium, can eat away at wood timbers and concrete, causing them to splinter or crack, and metal can corrode and rust when exposed to consistent moisture. Not only does the material break down over time, but it also leeches chemicals into the water that can harm sea life and deteriorate drinking water safety. Finding a durable building material that can hold up in wet environments and has structural performance characteristics can be challenging, especially with traditional building materials that can fall short. Recycled plastic lumber is a great alternative to traditional building materials that will meet all dolphin project requirements. Recycled plastic lumber products by Bedford Technology are an environmentally-friendly building material that can be recycled after the project has reached the end of its life-cycle. They are manufactured from recycled HDPE, like milk jugs. Bedford Technology’s products are non-polluting and won’t leach harmful chemicals into the water. Resistant to marine borers, mold and chemicals, plastic lumber will withstand high moisture levels and is non-leaching. They can also be pile driven, sawn and drilled like traditional wood for easy installation. Using plastic lumber will increase your project life-cycle because it is a durable and long-lasting material. Which Bedford Technology Product is Right for the Job? BarForce® by Bedford Technology is an industrial-strength commercial-grade product that is reinforced with fiber polymer rebar which increases rigidity and dimensional stability. This product line is best-suited for projects requiring additional structural integrity. 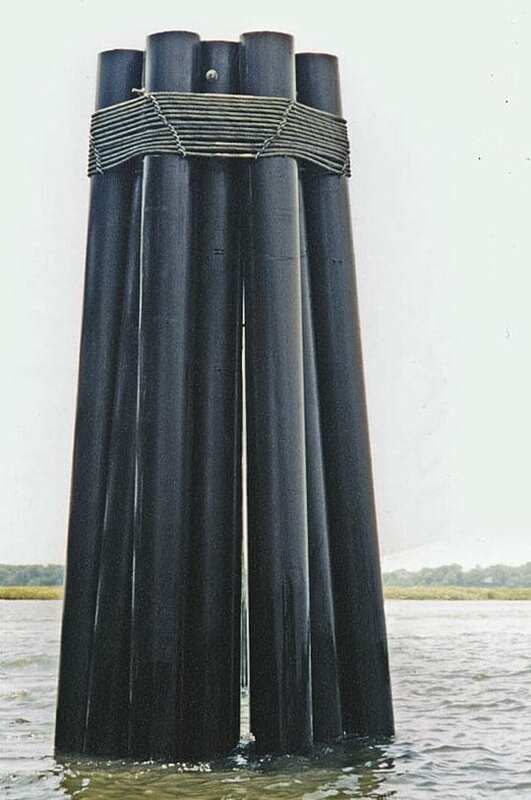 With BarForce®, your dolphin clusters will protect your piers for generations to come. 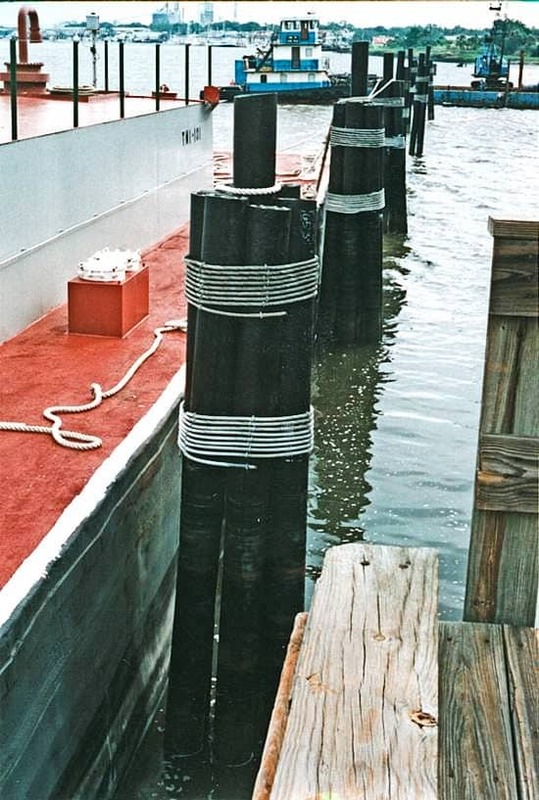 SeaPile® and SeaTimber® by Bedford Technology are fortified with fiber-reinforced polymer rebar, making it ideal for heavy-duty applications in the marine industry. Engineered using our Multi-X Technology, these products can withstand heavy impacts by absorption of energy through recoverable deflection and do not leach chemicals.